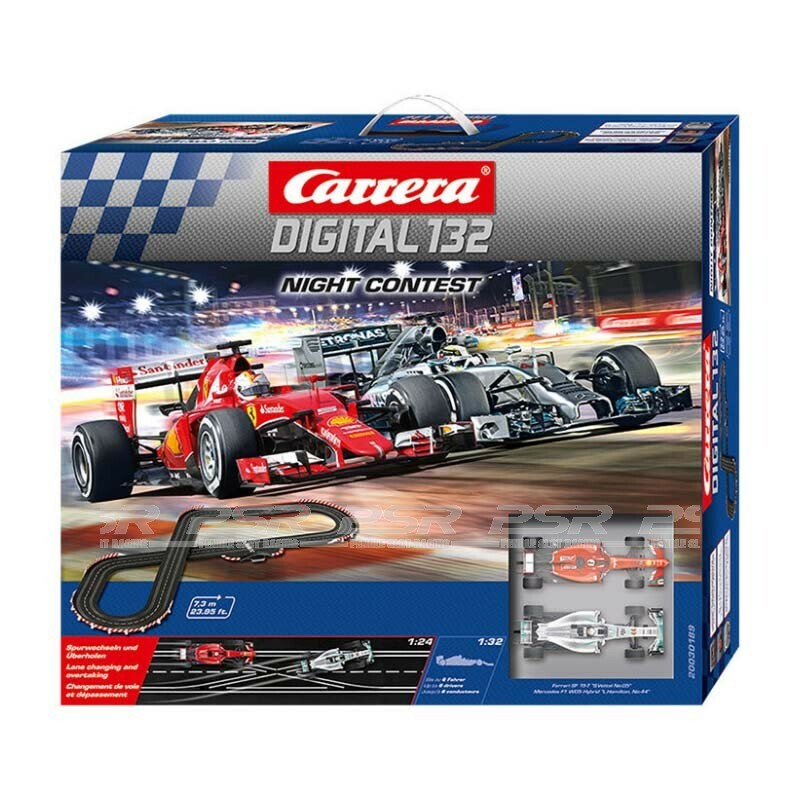 Carrera Digital 132 Night Contest Set. Heroes of the night There's something special about night-time Formula 1 grand prixs and the spectacular scenes they produce - as in Singapore! 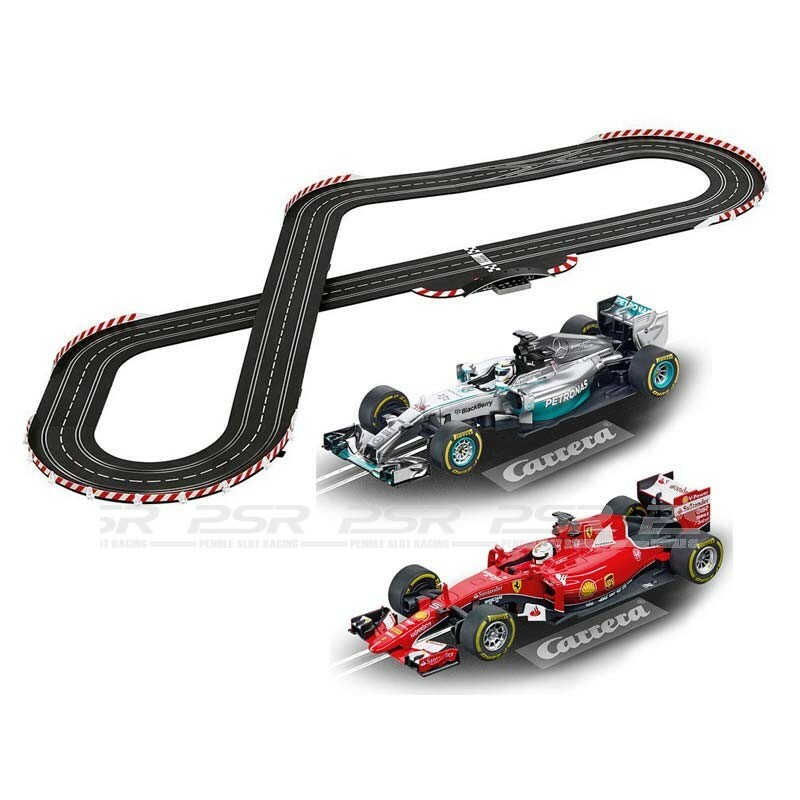 The Carrera DIGITAL 132 "Night Contest" set pits Lewis Hamilton in his Mercedes F1 W05 Hybrid against Sebastian Vettel in the Ferrari SF 15-T. There's high-pressure action all the way round the 7.3-metre race circuit when the two world champions risk everything to keep the lead in daring overtaking moves at the double crossovers. One thing is certain - there'll be no quarter given or asked! DIGITAL 132 vehicles are digitally-controlled and individually codeable.